There's no place on earth quite like Gulf Shores, which is known for its endless stretches of beautiful beaches and its abundance of fun, family-friendly activities. Gulf Shores, Alabama remains a popular beach destination for families looking for a one-of-a-kind vacation that every member of the family will enjoy, since there's something for every type of visitor in Gulf Shores. Whether you want to spend your days swimming, fishing, and golfing or relaxing and unwinding on the beach or by the pool, Gulf Shores is the perfect place to be. If you want to ensure that your next family vacation is truly unique, you should let Vacatia help book your stay at one of the best Gulf Shores resorts with lazy river and water slides. It's not often that you get to stay at a resort with a lazy river or water slides, so this vacation is sure to quickly become one of your family's most memorable trips. Vacatia can help you find a cool, unique resort in Gulf Shores that your entire family will love, and you can always count on Vacatia's attentive Guest Care team to answer any questions or address any concerns you may have. You can rest assured that you're in good hands when you book your vacation accommodations through Vacatia. 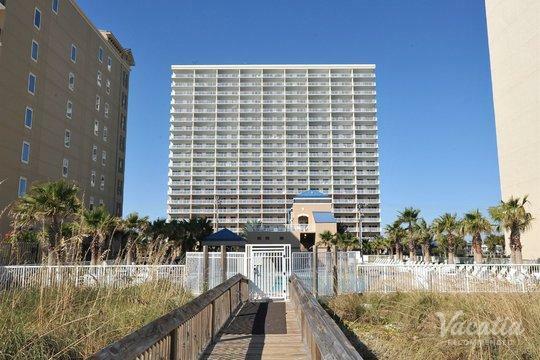 Situated along the Gulf Coast in Alabama, Gulf Shores is known for its beautiful beaches and cool coastal community. There's no shortage of things to do or see in Gulf Shores, and you can easily tailor your Gulf Shores itinerary to your specific desires. 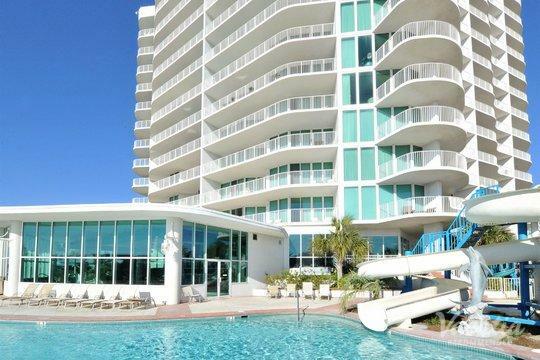 If you want to have a fun-filled, sun-soaked vacation in Gulf Shores, you should work with Vacatia book one of the best condos with lazy river Gulf Shores has available. When you stay at a Vacatia rental property, you are sure to feel right at home, as Vacatia's rentals combine the space and comfort of a home with the services and amenities of a resort. Rather than staying at one of the Gulf Shores hotels with lazy river, you could stay at a Vacatia resort residence with a lazy river and water slides, so you can experience both the comfort of home and the luxury of vacation. Gulf Shores is located just south of Mobile, Alabama, where it stretches along the Gulf Coast. This coastal destination is widely known for its pristine beaches, its breathtaking sunsets, and its great attractions. This coastal town is practically tailor-made for families, because Gulf Shores features countless family-friendly activities, such as the Gulf Coast Zoo, Waterville U.S.A., recreation centers, and miles of gorgeous beaches. When you plan a trip to Gulf Shores, you can rest assured that you're family will never be bored during your beach vacation. To further enhance the fun and excitement of your Gulf Shores vacation, let Vacatia help book your stay at one of the best Gulf Shores resorts with lazy rivers and water slides. This will be one vacation your family will never forget.